Ryan, my 13 month old is the stud wearing the piñata costume. 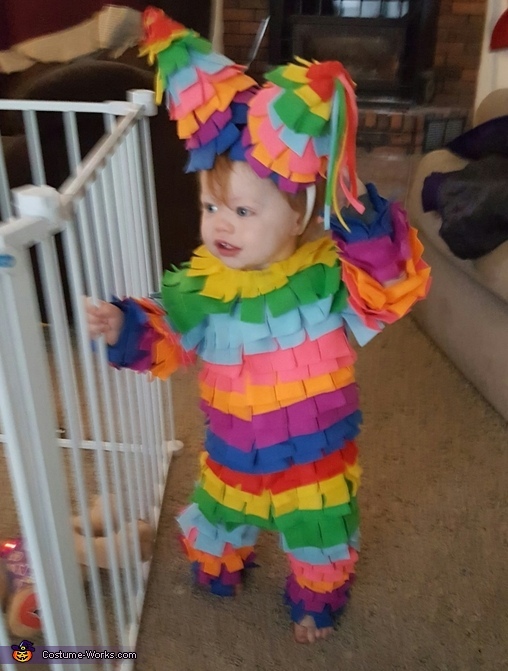 This piñata didn't provide any candy, but sure looked sweet wearing it! I found it on Pintrest. It's felt cut into strips and fringed, then glued onto a long sleeve one piece outfit. The hat is cones made from a sheet of crafting foam attached to a headband. I have about $20 in it.